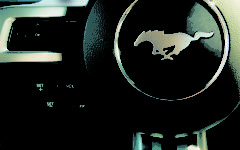 Introducing the fastest selling sports car this year: the Ford Mustang. Selling an impressive 80,000 units worldwide, it’s already on a roll! A beast hidden within a beauty and raring to go. It’s described as a “presence that is hard to ignore” and who can blame you for stopping and staring at this impeccable glory. There’s a theory that V8-powered American sports cars are fast in a straight line and terrible on the corners, but the new Ford Mustang knocks that theory for six. 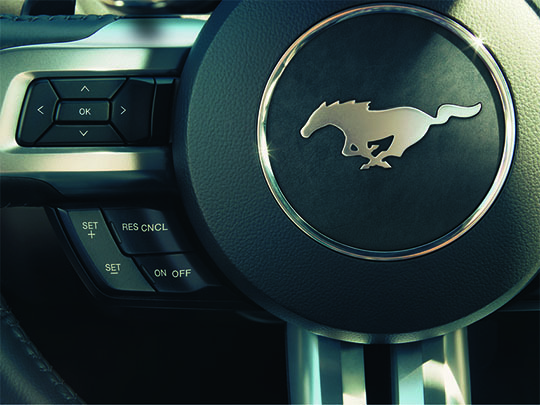 With its independent suspension the Ford Mustang is extremely exhilarating to drive. The 2.3-litre turbo EcoBoost engine is punchy, although with 313bhp it’s not as fast as the V8. The 2.3 EcoBoost averages at 35.3 mpg, and takes just 5.3 seconds 0-62mph. Prices start from around £32970 depending on specification and model. 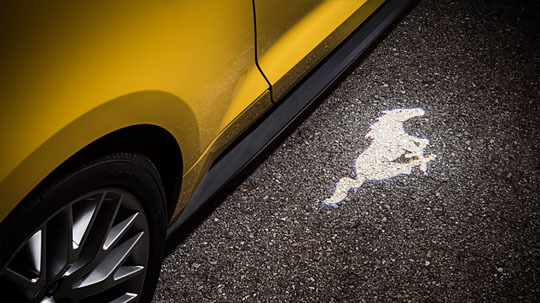 Drive in confidence with the four different set up modes including “Normal, Sport Plus, Track and Snow/Wet” In comparison the Ford Mustang is the same length as a 5-Door Ford Mondeo however it is not as wide and it is a lot lower. 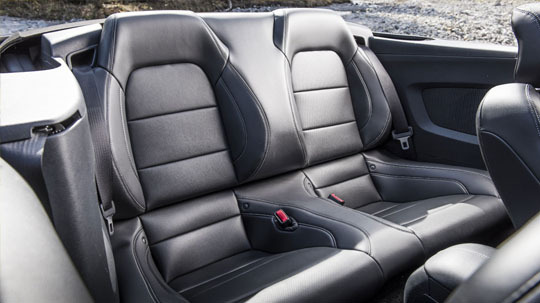 The back seats fold 50:50 to improve boot space so if you need that extra room the option is always there. Standard transmission is 6-speed manual however buyers can spend and extra £1500 on an automatic gearbox. There’s also the option of choosing a convertible for an extra £3000 more. 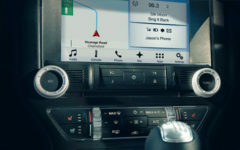 All Ford Mustangs come with as standard 19 inch black alloy wheels, Xenon Headlamps, Ford Sync 3.8 touch screen infotainment system with 9 speaker stereo with DAB and Bluetooth. As well as its powered seats it also has electric mirrors and windows. For ease when parking a rear view camera /parking sensors (optional extra) will come in handy and Keyless entry allows practicality and ease of entry. 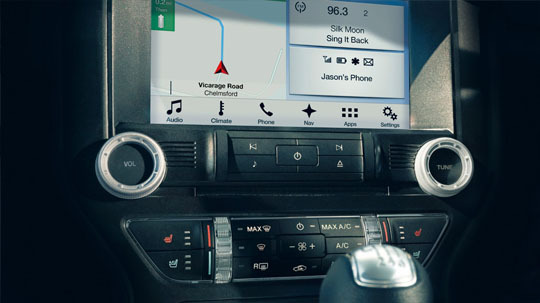 For all times of the year the Dual zone climate control has a temperature to suit all. MyColour ambient interior lighting creates relaxing lighting atmosphere. 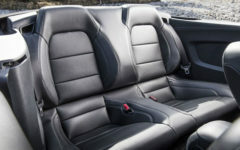 The car also comes with ISOFIX rear seats. 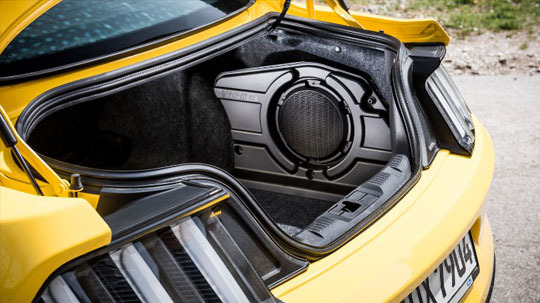 If you’re feeling the music vibes you can add the optional Shaker sound system. 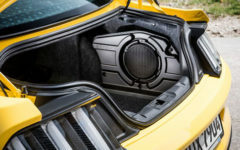 This includes a subwoofer that’s set into the side of the boot, behind the offside rear wheel for that extra boom boom pow.